← Cash Used to Be King — Now? Due to a strong economy, 2017 saw an uptick in consumer spending. So how good a shopping year was it? Let’s look at 2017 American personal consumption spending. Now, on to some interesting 2017 U.S. spending data. 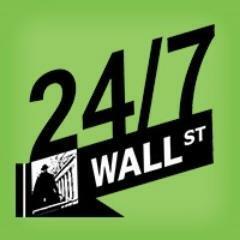 Click the 24/7 Wall St. logo to read its fully story. Then, check out the top five spending categories below the logo. Here are 24/7 Wall St.’s top five spending categories based on BEA data. Occupied housing payments. 2017 spending: $19.39 trillion. Share of total expenditure: 14.85%. 1-year change: +1.24%. 10-year change: +14.01%. Groceries. 2017 spending: $7.89 trillion. Share of total expenditure: 6.04%. 1-year change: +2.49%. 10-year change: +5.14%. Physician and dental visits. 2017 spending: $6.68 trillion. Share of total expenditure: 5.12%. 1-year change: +4.40%. 10-year change: +25.80%. Restaurants and bars. 2017 spending: $5.61 trillion. Share of total expenditure: 4.30%. 1-year change: +0.84%. 10-year change: +15.65%. Clothing and footwear. 2017 spending: $4.24 trillion. Share of total expenditure: 3.25%. 1-year change: +2.01%. 10-year change: +19.08%. This entry was posted in Part 1: Overview/Planning, Part 2: Ownership, Strategy Mix, Online, Nontraditional, Part 3: Targeting Customers and Gathering Information and tagged 2017, 24/7 Wall St., consumer spending, trends. Bookmark the permalink.